Every year, the international community observes the World Population Day on July 11th This year’s World Population Day theme is: “Leaving nobody behind: Improving service delivery and accountability”. Uganda over time has put our population issues at the Centre of its development plans and programs. As part of Gulu Women’s Resource Centre’s goal of providing women and community with current and critical information. 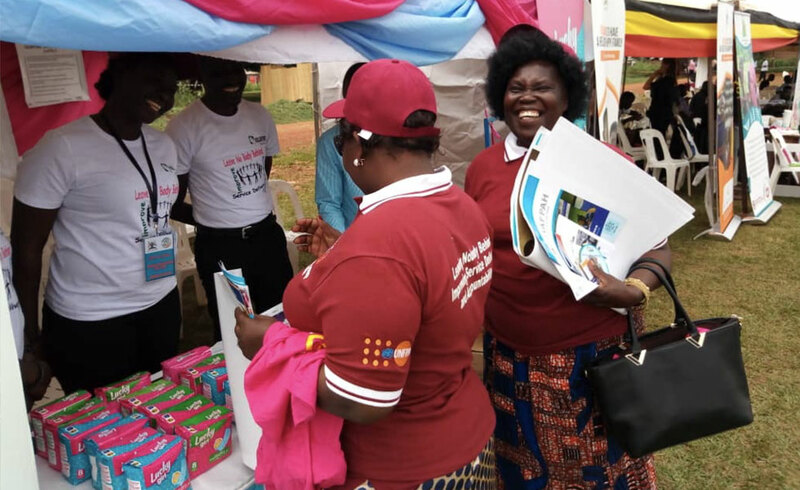 GWRC hosted an information exhibition that attracted civil society, NGO, and Gulu University and Government departments all gathered at GWRC to commemorate the International Populations Day, while teaching and disseminating relevant information. This was an opportunity for 392 community members and school going children to access first hand information regarding health and sensitization about Teenage pregnancy which stands at 28 % in Northern Uganda. According to statistics Infant mortality dropped from 122 deaths per 1,000 live births recorded in 1991 to 43 deaths in 2016, representing a 63 per cent drop. Maternal mortality also declined from 506 in 1991 to 336 in 2016, a decline of 34 per cent. Fertility has declined from the 7.4 children per woman recorded in 1988 to 5.4 in 2016, a decline of 24 per cent. At a population growth rate of 3.0 per cent, Uganda’s population has grown from 16.7 million people in 1990 to 34.6 million in 2014 and is expected to reach 40 million by the end of this year. In spite of this progress and prospects children still die from immunisable diseases as well as those diseases that can be prevent through better hygiene like the promotion of hand washing using soap after visiting the toilet. The teenage pregnancy rate in Uganda remains high at 25 per cent and this has stagnated at that level for the last 10 years. This means that in Uganda, one out of every four teenage girls has had a baby before they reach 19 years old. Teenage pregnancy rate in Northern Uganda is higher than the national average and stands at 28 per cent. According to the 2014 Census, crop production is the major economic activity in the districts. And 48 per cent of youth is neither in school nor working. Illiteracy among 10-30 years olds stands at 56 per cent. In addition, latrine coverage is low at 39 per cent and access to safe water is at only 53 per cent. The poor health conditions are mainly due to high poverty levels in the district and the high disease burden in the district is due to malaria, which is rampant and stands at 41 per cent. GWRC provided a space through which all the above information was made available for the community to access LEAVING NOBODY BEHIND FOR IMPROVED SERVICE DELIVERY AND ACCOUNTABILITY. The Exhibitions was officially attended by the Vice President of Uganda together with Members of Parliament who commended the work of WGEF in supporting the social transformation in Northern Uganda.